Uses: Before and After, Casino, Hospitality, Hotels, Maintenance Projects, Other Markets Colors: Red/Mauve Lengths: 13 panel 24'-1" Heights: 7'-4"
Portable Room Dividers are easily rolled into place to keep workers both out of sight and out of mind from their customers. The Las Vegas Strip has seen many changes since the first casino was built in 1931. The 4.2 miles of vast entertainment and hotel venues are home to the most elegant casinos in the world. The industry continues to update its venues to maintain its status as one of the top tourist attractions in the USA and the world. Maintenance and landscaping are done 24 hours a day. 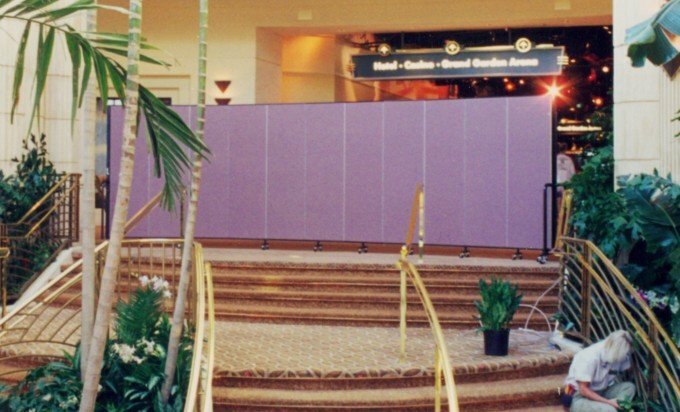 In order to prevent guests from seeing work in progress, a decorative Screenflex wall is rolled in place to provide a barrier between the workers and the guests. 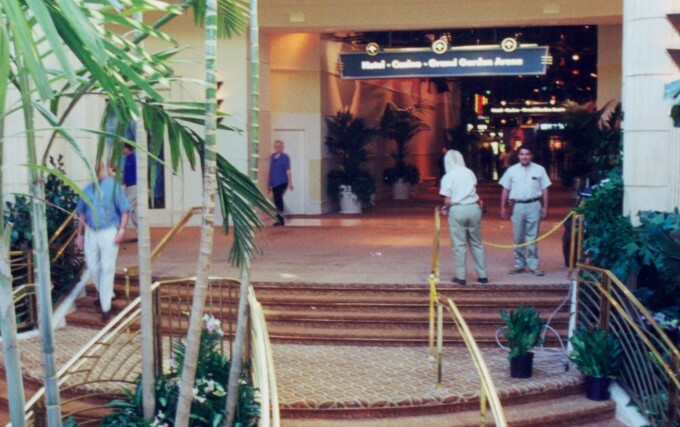 When the work is complete, the divider is rolled to another location to shield the view of workers from the guests once again.